Finding Difficulties to Repair Corrupt PST & Recover Deleted PST files? Searching for a simple to use Microsoft Outlook Recovery solution? Here comes complete Outlook Recovery Solutions that enable users to repair corrupt PST files & recover deleted PST files easily is instant steps. Repair Corrupt PST Files - If you're looking for a tool to repair corrupt PST files, Get Outlook Recovery – Corrupt PST Repair tool to fix & repair corrupt or damaged Outlook PST files. Recover Deleted PST Files - If you're looking for a tool to recover deleted PST files, Get Deleted PST File RecoveryTool to recover deleted Outlook mailboxes, recover deleted PST files. What Can you do with Outlook Recovery? Repair Corrupt PST Files – PST File Repair software to repair corrupt or damaged PST files. Recover Deleted PST Files – Deleted PST Recovery software to recover outlook mailboxes from deleted PST files. Repair PST Files with Outlook recovery tool instantly whuch is designed to repair corrupt PST files created using MS Outlook. PST File Repair Tool will easily recover emails, contacts, calendar entries, tasks, notes, journals from corrupt PST files damaged due to virus corruption, accidental shutdown, file corruption, application error etc. PST File Recovery software Demo Version is FREE! Using this Demo Version, you can see the recoverable PST files and emails but cannot save those recoverable items to your system. Demo version restricts saving of new PST files. Get the Full Version NOW & save all the recovered data. You can save repaired PST file to your system using the Licensed Version of PST Recovery software. Have you deleted or lost your crucial MS Outlook PST files? Then you would be looking for a superior solution for deleted PST file recovery. There sometimes a situation where you have accidentally deleted PST files and you are unable to access your essential emails, contacts, calendars, tasks, notes etc. You would obviously choose such deleted PST file recovery software that can successfully recovers PST files with all its items. To recover deleted PST files, try using Hard Drive Data Recovery software which is one of the best PST File Recovery software to recover deleted PST files, recover deleted Outlook mailboxes. Hard Drive Data recovery can easily recover deleted PST files with all itemsemails, contacts, calendar entries, tasks, notes, journals. Using the Demo Version, you can see the PST File Recovery process and can also preview the recovered PST files & Outlook mailboxes easily. But, you cannot save recovered Outlook mailboxes, to your system using this Demo version as the file saving option is restricted. Get the Full Version NOW & Recover Deleted PST Files . 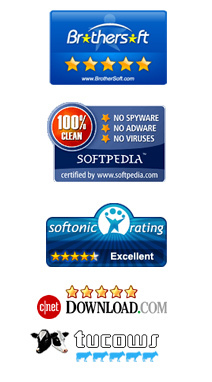 You can save all the recovered items to your system using the Licensed Version of Hard Drive Data Recovery software. Using Outlook Recovery software available here you can retain all of your emails, calendar items, task items, contacts/Groups, notes, journals whether deleted or corrupted easily as this Outlook Recovery solution is simple & easy to use.